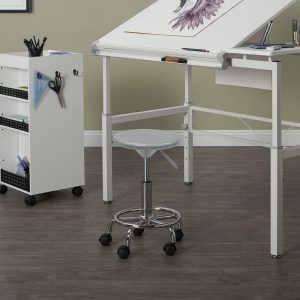 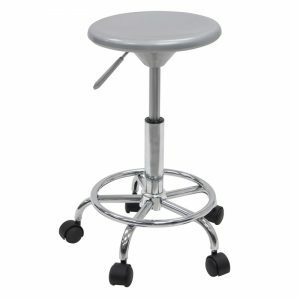 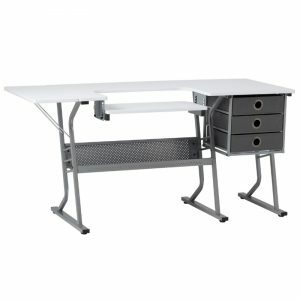 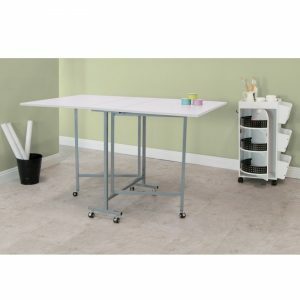 The Craft Cutting Table folds easily and has casters for quick storage when not in use. 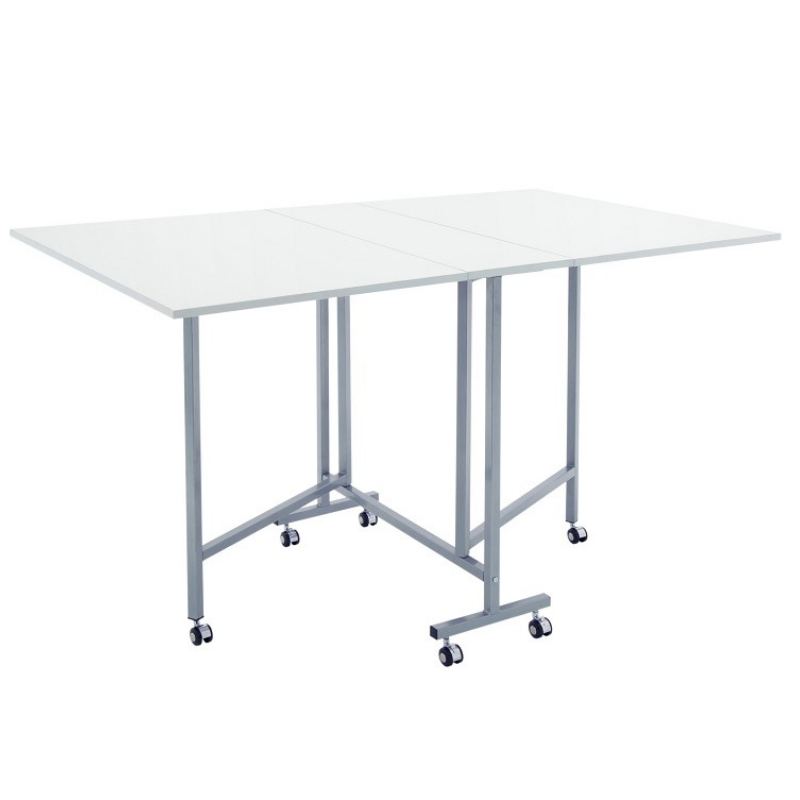 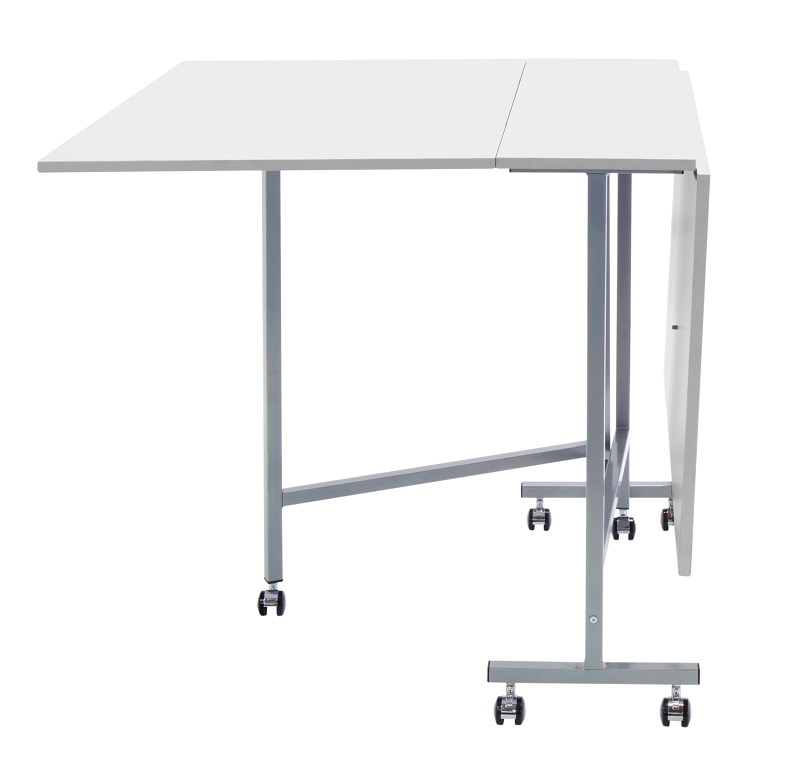 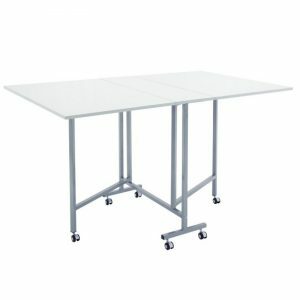 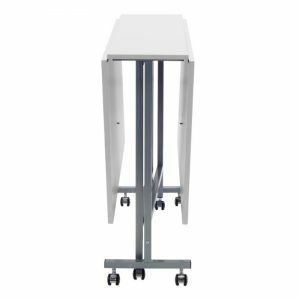 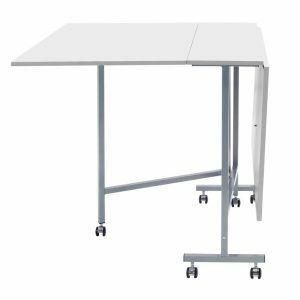 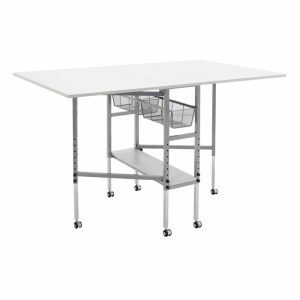 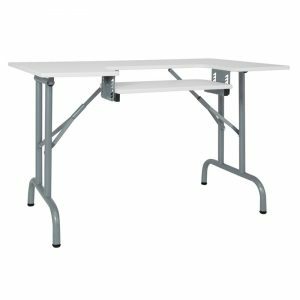 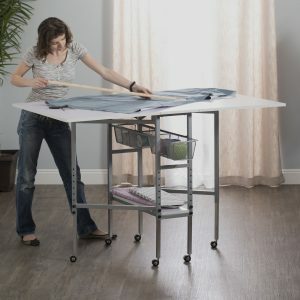 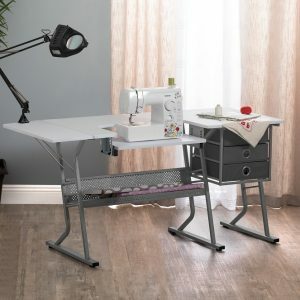 When fully extended this table offers a work surface that is 58.75 inches wide and 36 inches deep making it ideal to cut fabric and adjust patterns. 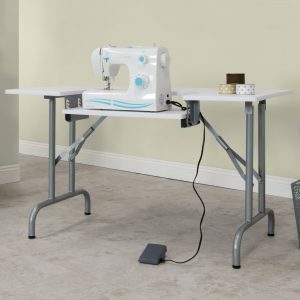 The versatility of this table makes it perfect for cutting fabric, or as an extra workspace for die-cutting machines or craft projects. 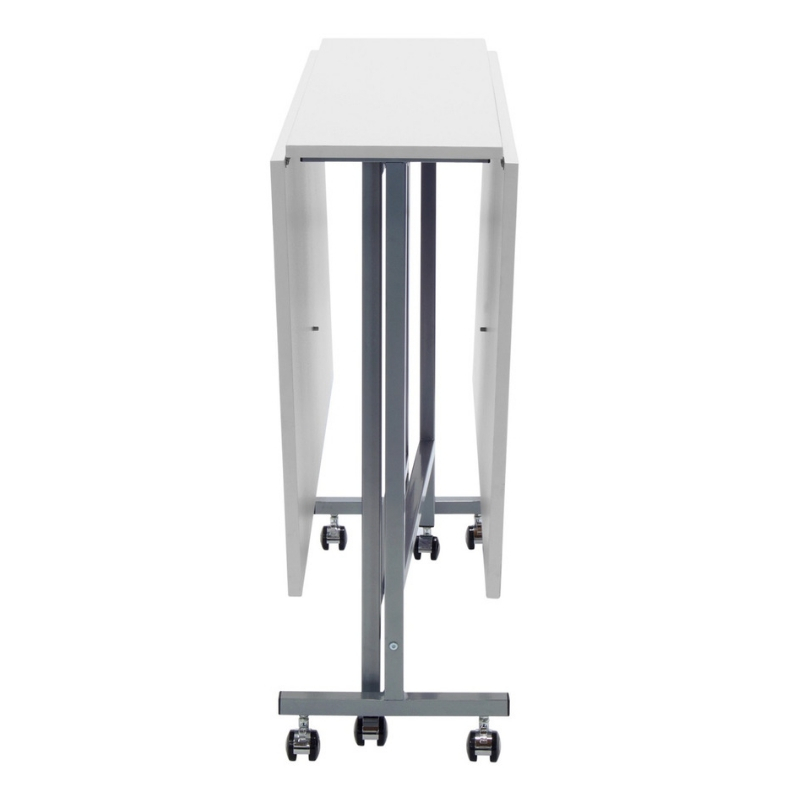 • Weight Limits: Center Panel: 50 lbs. Side Panels: 25 lbs ea.